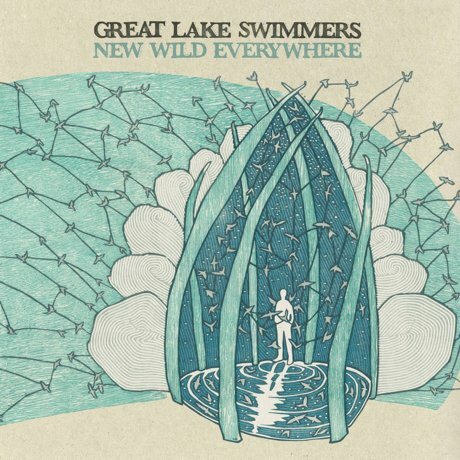 Great Lake Swimmers "Easy Come Easy Go"
If it feels like a long time since you heard from Great Lake Swimmers then we've got some good news for you: the band will be releasing a new album called New Wild Everywhere on April 3 via Nettwerk and then embarking upon a Canadian tour this spring. Until then, you can feast your ears on the new track "Easy Come Easy Go." While Great Lake Swimmers have a penchant for recording in unusual locales, this album was recorded in Toronto's state-of-the-art Revolution Recording. Frontman Tony Dekker said in a statement, "It came as a bit of a surprise how well we functioned as a band in that environment. We were able to focus completely on the songs, rather than the logistical obstacles of waiting for the boat to dock, or the rain to stop. There's no mistaking the full-bodied studio sound of the jaunty lead single "Easy Come Easy Go," which blends folk instrumentation with brisk rock drums, honeyed pop melodies and just a hint of guitar grit. A press release calls the tune "the most upbeat and up-tempo song ever penned by Dekker, which explores finding a center to grasp amidst a chaotic and often temporary world." That sounds like a good description to us. You can check out the stream at the bottom of this page. Scroll past the album tracklist and tour dates to listen. 1. "Think That You Might Be Wrong"
5. "Changes with the Wind"
7. "Easy Come Easy Go"
9. "Ballad of a Fisherman's Wife"
13. "Les Champs de Progéniture"